We began our morning with Daddy taking some well-deserved time off and heading out to the Chiefs game, only to find ourselves knee-deep in dough, sprinkles and frosting, creating a little treat, a small gift for the people in our lives that bring us the greatest blessings. Inside: chocolate chip and frosted sugar cookies. 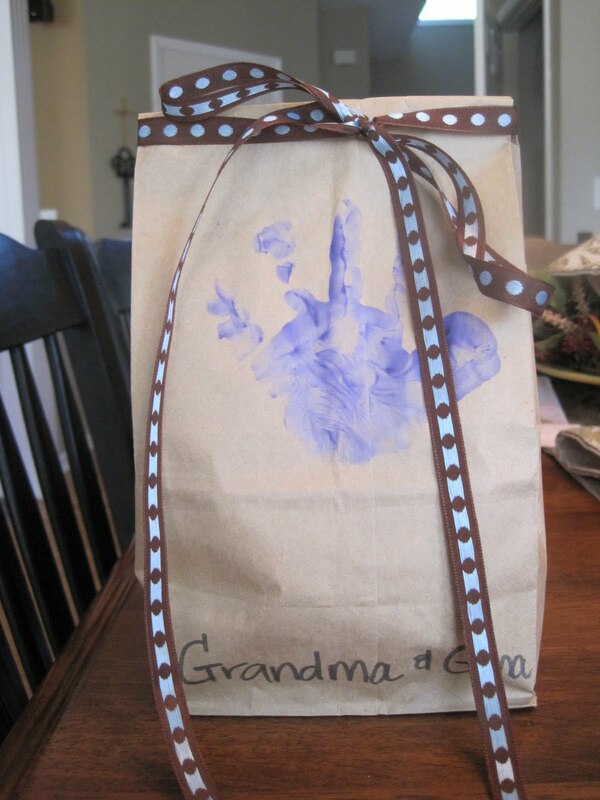 Outside, the little dude's handprint and on the back, this quote: “Nobody can do for little children what grandparents do. 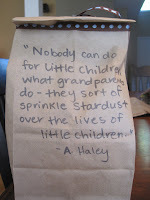 Grandparents sort of sprinkle stardust over the lives of little children.” All tied with a bow to be enjoyed. perhaps even if it is just one cookie sack at a time. We honor you Grandparents, on this special day and always...we love you.